The establishment Est 86 was HACCP approved in April 2010. 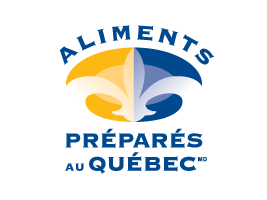 “Les Aliments Bestco” moved to the establishment #86 in July 2014. 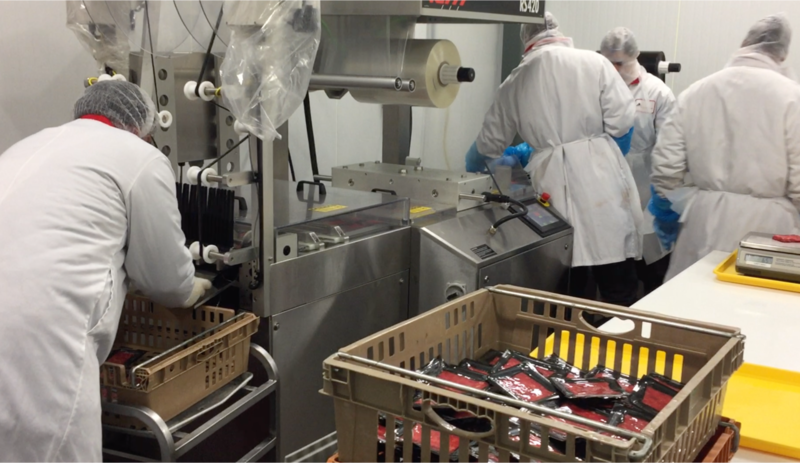 Our plant is mainly used for meat processing such as portion control and ground beef products. 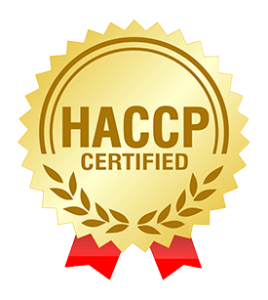 Our HACCP system in place is reevaluated yearly. Our plant is eligible to export to the USA (see Annexe W). We do not process any poultry originating from Brazil or Hungria, nor any cloven-footed animals originating from Uruguay are accepted in our plant. Our products are free of any chemical or physical contaminants. Our products are packed in approved material and labelled with all (mandatory information), this process eliminates any possibility of being exposed to exterior contaminants. We have a recall system in place and a simulation recall is done twice a year minimum. We have a policy in place concerning the raw beef contamination with E.coli 0157:H7 (Chap. 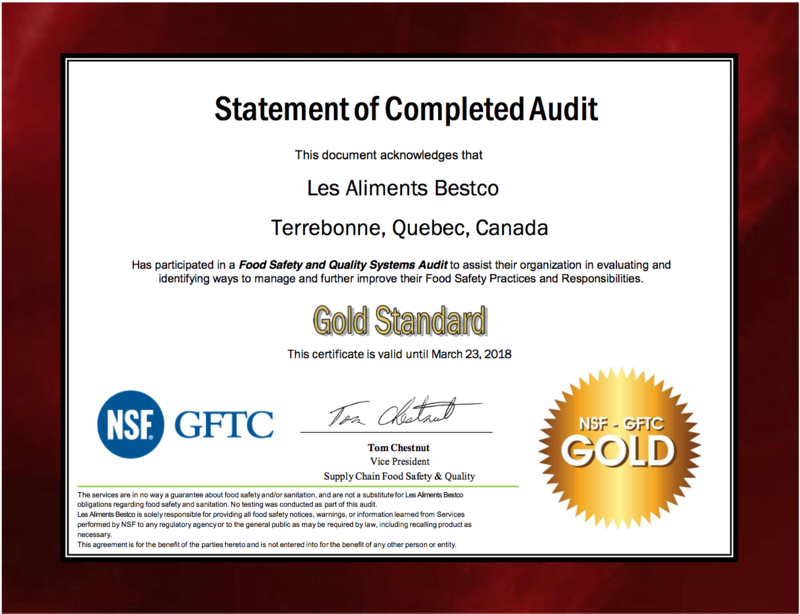 4, Annexe O): the raw materials (precursor materials) used for ground beef/veal have all been approved with the analysis certificate E.coli 0157:H7. Letters of guarantee from our suppliers are required and renewed yearly. The transport conditions are ACIA compliant. We engage ourselve in notifying you in the event that we or our suppliers would be withdrawn from the list of facilities approved for USA exportation. Our company commits to respecting all specifications of its products and notifying you of any changes in the formulation of ingredients (addition or withdrawal of allergens) and to forwarding the new specifications. Hoping this will be meet your requirements.